The concepts of learning are rapidly changing. With every component tuning into digital mode, the students are imbibing technological advancement into their personal space. This change has seeped in the need to have an interactive learning environments in learning as well. 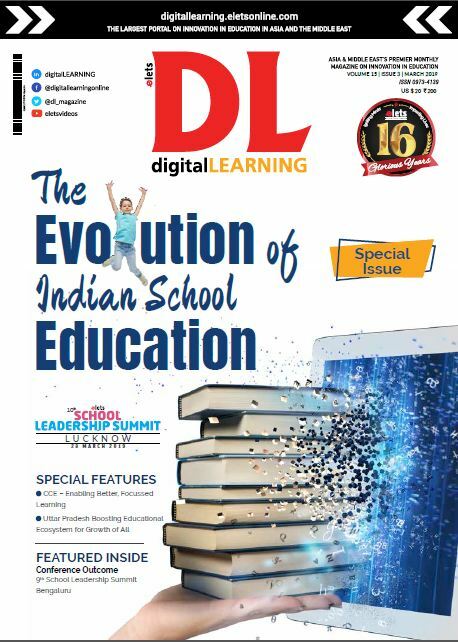 The growing demands of the educational institutes are immense, ranging from infrastructure upgradation and technological adoption to staffing issues and providing engaging learning experiences. Having a vast experience in IT services, Ricoh is able to address the concerns of the stakeholders to a great extent. To aid institutions with a better result, Ricoh provides customized solutions for the educational institutions, be it schools or those of higher learning. The solutions help optimize and reduce cost to maximize return on investment. It also offers security for institution administrative work like student data and other sensitive information. The futuristic vision helps in reducing the chances of technology and multimedia content becoming obsolete. Ricoh solutions help in enhancing the productivity of both the faculty and the institute. 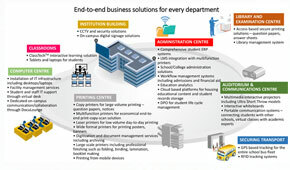 The company provides end-to-end business solution for every department like computer center, printing center, classrooms, and institutional buildings. IT Products & Services- Ricoh has the technical expertise and resources to build while own and operate large scale ICT projects for educational institutes. The company has partnered with global leaders to provide the best in class offerings across diverse applications. Ricoh specializing in office imaging equipment, production print solutions, document management systems and IT services has a distinct focus to cater to the growing demands of the education sector. Headquartered in Tokyo, Ricoh Group operates in about 200 countries and regions. In the financial year ending March 2015, Ricoh Group had worldwide sales of 2,231 billion yen (approx. 18.5 billion USD) and operates in about 200 countries and regions. What sets us apart is that we deliver not only a wide array of products, but consistent service levels across the globe, with a single point of contact and central coordination. In India, Ricoh operates through a robust network of 24 offices, and over 2500 dealers and business associates spread across the country. We are known for the quality of our technology, the exceptional standard of our customer service and our sustainability initiatives. Ricoh India Limited has been an ISO certified organisation since 1994, and is currently certified under ISO 9001:2008, ISO 14001:2004 and ISO 27001:2005 standards. The company also holds CMMI Level 4 certification.